The time has come to announce the winners of the K-Kemp Micro Fan Fiction Contest. Felicitations to Teabo and Juniper for their winning entries! 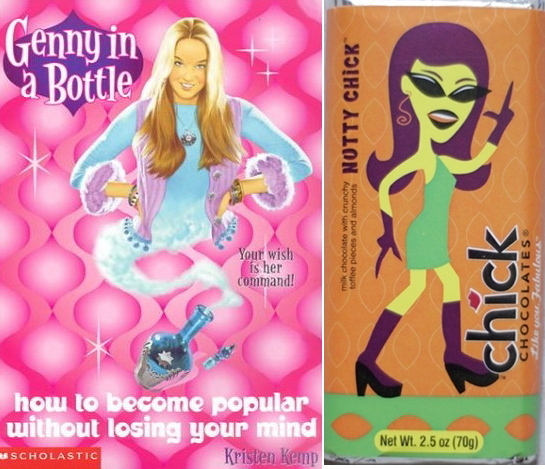 For his sentence, Teabo will receive a very magical K-Kemp book about a pizza-loving genie, as well as a Chick chocolate bar. A nutty chick for a nutty chick guy! Ellen got out of her mom’s Honda Accord and strolled into the mall. After indulging in some oh-so tasty Dippin’ Dots, she bought some cute new earrings at Claire’s Boutique. She couldn’t wait to wear them out with Jack on their forthcoming date to the Olive Garden, followed by dessert at TCBY treats. Her heart beat just thinking about it, almost bursting forth from her cute new top from Esprit. 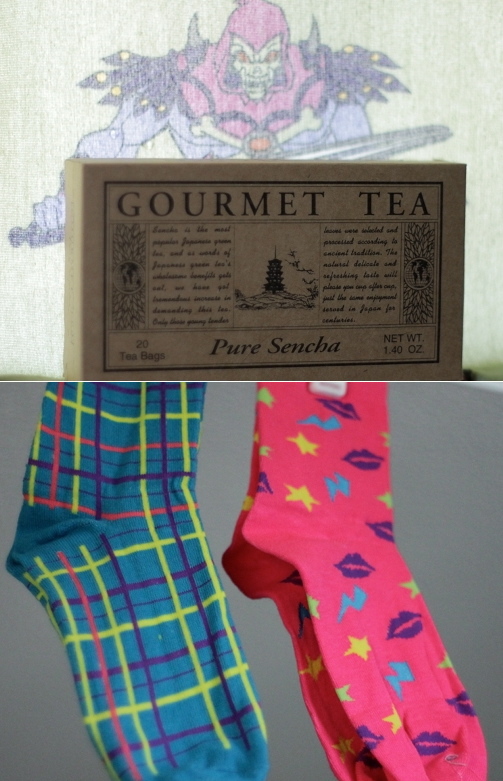 For her stellar submission, Juniper will receive this box of Sencha presented by Skeletor, as well as 2 rad pairs of Neon Daze socks. “You know, sometimes I wish I was more like you Katie,” said the Swedish foreign exchange student. “It’s hard being so popular and beautiful all the time!” She awkwardly patted Katie’s arm like a retarded seal batting it’s flippers together, and hurried off to class. Oh that’s so awesome and nice! Thank you! Amazing! My time to shine has finally arrived.